Ted Cruz, Rafael Cruz, and Glen Beck have spent the last few weeks characterizing the Republican Presidential Primary Contest as the forces of light (Cruz) versus darkness (Trump). The Senior Cruz has stated that it is the duty of all Christians to vote for Ted and that Ted is God’s candidate. Why? Because only Ted fears God and honors the Constitution. Lest you have forgotten, here are some links that were on Drudge yesterday. This is only a fraction of the stories on the subject. These guys (Cruz, Cruz, and Beck) really believed this stuff about divine intervention and God thwarting the will of the electorate in order to save us and our nation. Many of Cruz’s supporters believed the gospel according to Rafael. Frankly this hustle sounded strangely like the preachers that are on television; (the word “heretic” comes to mind). Against this backdrop of the cosmic struggle of light vs darkness, freedom vs slavery, God vs Satan, the focus of their vitriol, Donald Trump, is declared the winner of Indiana seconds after the polls close. Shortly thereafter, Ted Cruz holds a press conference and throws-in the towel! How can this be? For those of you in the Evangelical community that swallowed this very old line of crap—and I know you are legion—you must have gone to bed last night in shock wondering how could God’s will be thwarted by a reprobate like Donald Trump? The question that needs examination is “Can man’s freewill thwart God’s will?” Is God sovereign or is he limited by the choices that men make? Another way to ask this question is who was right Calvin or Arminius? Is Predestination, Election, and Irresistible Grace true or does man’s free-agency limit what God can do? Is this world God’s or Satan’s or man’s? Is there such a thing as “neutrality”? Is salvation man’s choice or God’s? Clearly, I’d choose Calvin but I believe my answer was predestined before the foundation of the world. You will find both predestination and freewill in the Bible; however, they are not equal. God is sovereign and foreordains everything but man is still responsible for his actions. Both statements are true. The difference is perspective. From God’s point of view, His will is absolute and nothing comes to pass that is not part of his plan. Simultaneously, from man’s point of view, we freely make the choices and bear the responsibility of our actions. God is separate from His creation but he is actively involved in what happens. The Bible doesn’t explain how this is true, it just is. You may not like the answer but I think C.S. Lewis explained it well in his Narnia books when Aslan would council the children that it’s not part of your story so don’t worry about it. • Barack Obama is our President because it is God’s will. • Donald Trump is the Republican nominee because it is God’s will. • Whichever Democrat wins the nomination of their party is God’s will. • Whoever wins in November is God’s will. I can hear it now; someone is asking was it God’s will that a three year old drowned in a swimming pool or some other tragedy happened? Yes. We all deserve death. God chooses to give some life eternal and some just life for another day (common grace). God is not the author of evil or sin; if you want to see who is then start with a mirror. The Lord giveth and the Lord taketh, blessed be the name of the Lord. 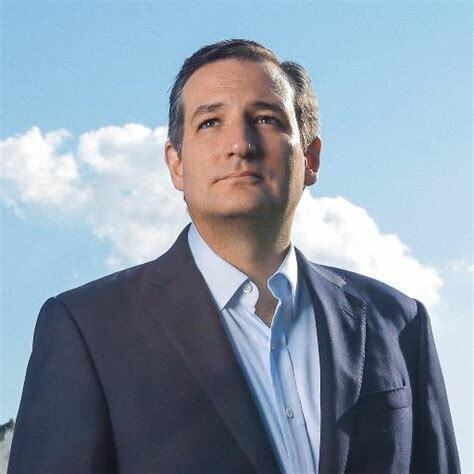 When Cruz, Cruz, and Beck claim it’s God’s will that Ted be the next President and come January, Ted is sitting at home watching the Inauguration on T.V. that is God’s will not the stuff they said to try to get him elected. This theological schizophrenia is yet another reason why Ted Cruz is not ready to lead. Maybe the extra time Ted has now that his campaign is suspended can be used to get his theology and his life in order. Someday I hope he is a Christian role model and statesman and not just a politician that happens to attend church.